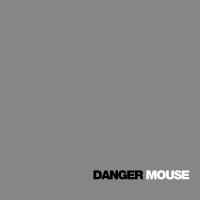 Danger Mouse releases "The Grey Album"
It uses an a cappella version of rapper Jay-Z's The Black Album and couples it with instrumentals created from a multitude of unauthorized samples from The Beatles' LP The Beatles (more commonly known as The White Album). The Grey Album gained notoriety due to the response by EMI in attempting to halt its distribution. * Samples "Long, Long, Long"
* Samples "While My Guitar Gently Weeps"
* Samples "Glass Onion" and "Savoy Truffle"
* Samples "Mother Nature's Son"
* Samples "Happiness Is a Warm Gun"
* Samples "Piggies" and "Dear Prudence"
* Samples "Revolution 9" and "I'm So Tired"
* Samples "Cry Baby Cry" and "Savoy Truffle" and "Helter Skelter"